Denitrification is the natural process of soil bacteria converting nitrate back into atmospheric nitrogen gas. This process could reduce (attenuate) the environmentally damaging impacts of nitrate leached from farms to freshwater. It is important that the denitrification process is complete, because incomplete denitrification can release nitrous oxide (N2O, a harmful greenhouse gas) rather than dinitrogen (N2, a harmless gas making up 78% of the atmosphere). Benign Denitrification in Groundwaters research will develop a cost-effective and rapid technique to accurately assess denitrification processes and end products (nitrous oxide and/or dinitrogen) in shallow groundwaters in the Manawatu and Rangitikei river catchments. This cost-effective technique will be used to measure and map complete benign denitrification hotspots across New Zealand’s agricultural catchments. The research has found that the capacity of natural denitrification processes to reduce nitrogen varies a great deal spatially, even within the same catchment. Some parts of a catchment may therefore contribute disproportionately to river contamination of nitrogen, while areas with high nitrogen attenuation capacity may be suitable for strategic intensification of land use. Researchers in the Benign Denitrification in Groundwaters project are working collaboratively with Horizons Regional Council and Waikato Regional Council, having agreed that the denitrification measurement tools will be used by the Councils. 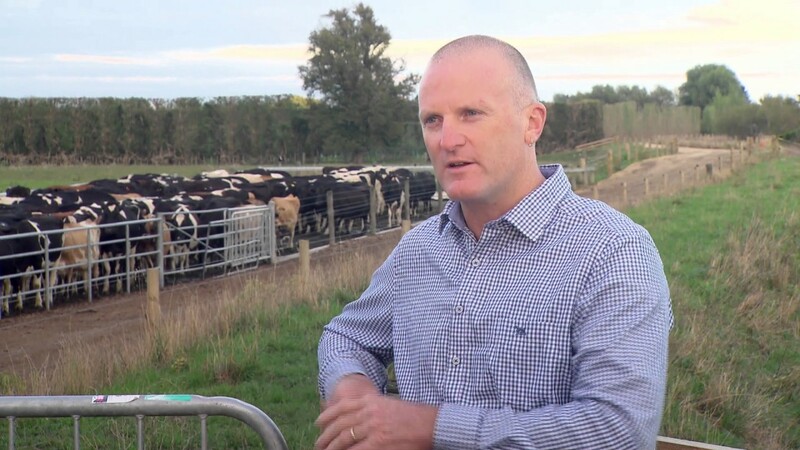 The first end users will include Massey University’s Fertilizer and Lime Research Centre (FLRC), Horizons Regional Council, Waikato Regional Council, and Our Land and Water researchers and partners. Our preliminary results indicate occurrence of complete ‘benign’ denitrification in the reducing shallow groundwater sites with lower dissolved oxygen (DO) contents (DO < 1mg L-1), as compared with the oxidizing shallow groundwater sites (less-reducing) with higher DO contents (DO > 1mg L-). This study is continued with further monitoring and experiments for examination of processes and regulatory factors driving subsurface denitrification in shallow groundwaters in the Manawatu and Rangitikei River catchments. Jha, N., Singh, R., McMillan, A. and Gonzalez, M.
We measured lower dissolved N2O and higher denitrifier genes abundance in the groundwater samples collected from reducing (anoxic) groundwaters sites, as compared with the groundwater samples collected from non-reducing (oxic) groundwater sites. This highlights the potential of microbial measurements (denitrifier genes abundance) as a proxy marker, in combination with the groundwater chemistry measurements, to measure and map benign ‘complete’ denitrification across NZ agricultural catchments. We investigated and developed a simple model to account for the influence of different soil types and underlying geology on the transformation of nitrogen (N) in the Rangitikei River catchment. The main soil and rock types of the catchment were classified into low, moderate and high N attenuation capacities then assigned nitrogen attenuation values in order to predict soluble inorganic nitrogen (SIN) loads to the river. The prediction of SIN loads in the river was improved by incorporating the spatial effects of both of the different soil types and underlying geologies on N attenuation in the subsurface environment of the Rangitikei River catchment. Where both the intensity of land use in high N-attenuation areas was increased and the intensity of land use in low N-attenuation areas was decreased, N loss from agricultural land was greater but, importantly, N load to the River was lower. The approach described here is useful to identifying the potential (so-called) ‘head space’ for increased N leaching from farms within catchments and more efficiently allocating land use intensity to contrasting landscapes. Denitrification in shallow groundwaters – an ecosystem service or a pollution swap? Gonzalez, M., Singh, R., Jha, N., and McMillan, A.